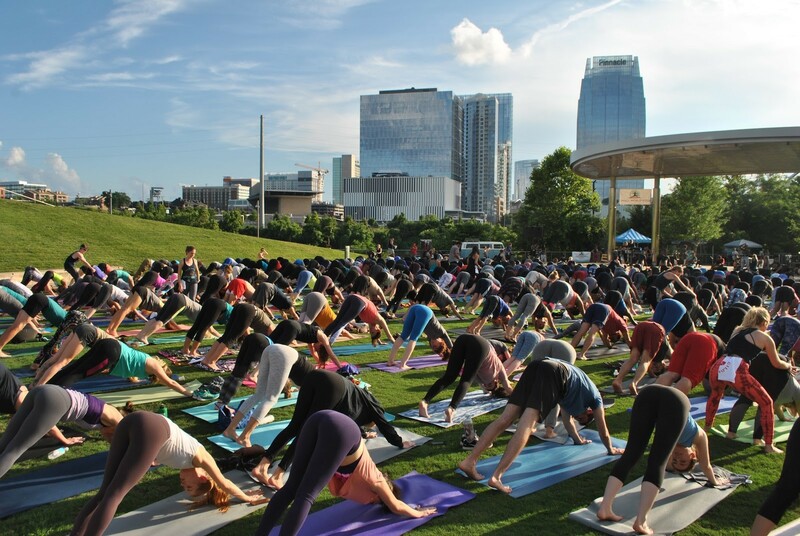 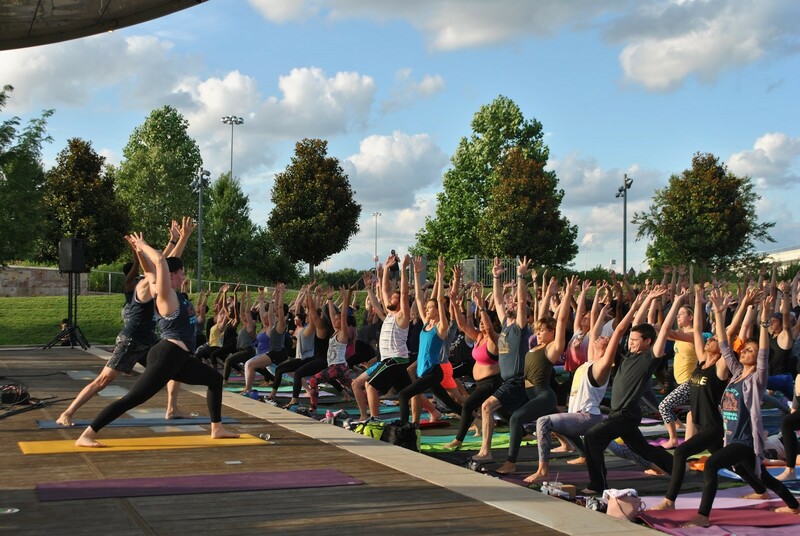 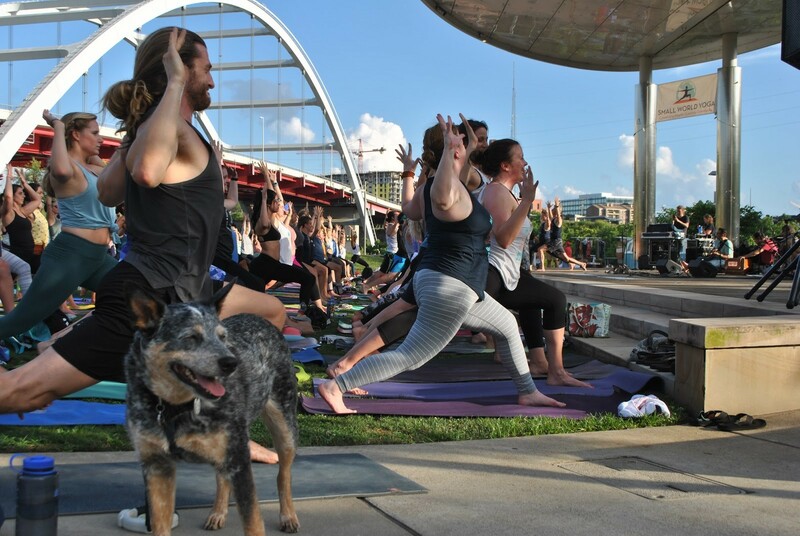 Hundreds gathered in Cumberland Park in Nashville on Thursday to celebrate Music City’s International Day of Yoga, hosted by Small World Yoga, Nashville’s first nonprofit yoga studio. 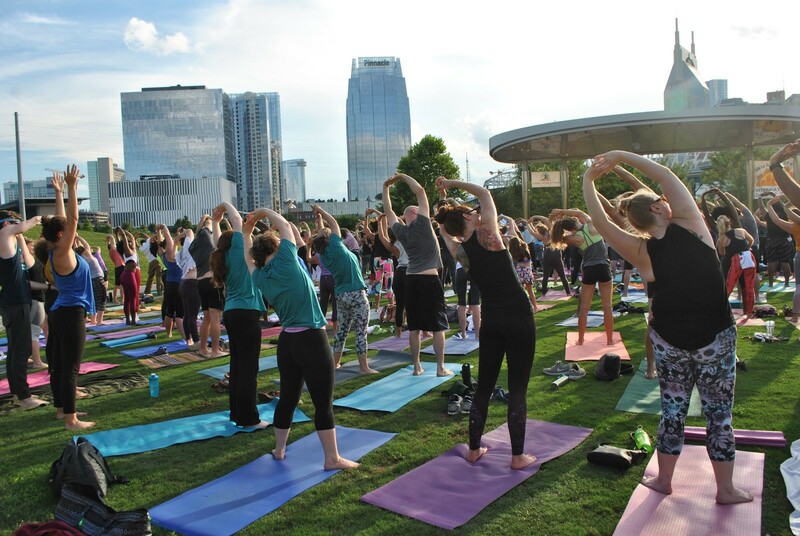 The free, family-friendly event welcomed yoga lovers of all levels to the park for a group session of peaceful yoga and meditation. 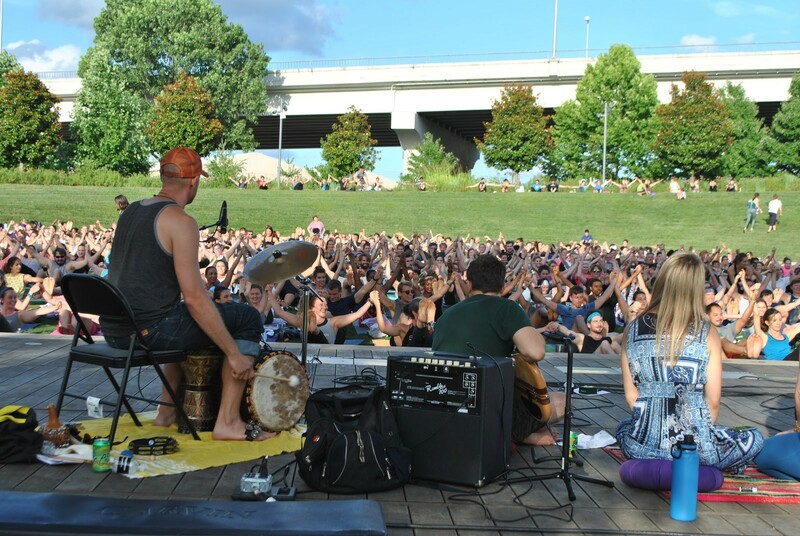 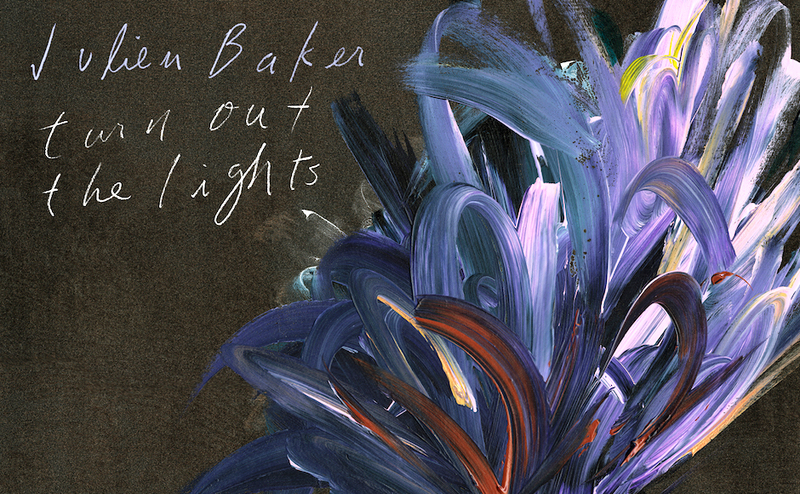 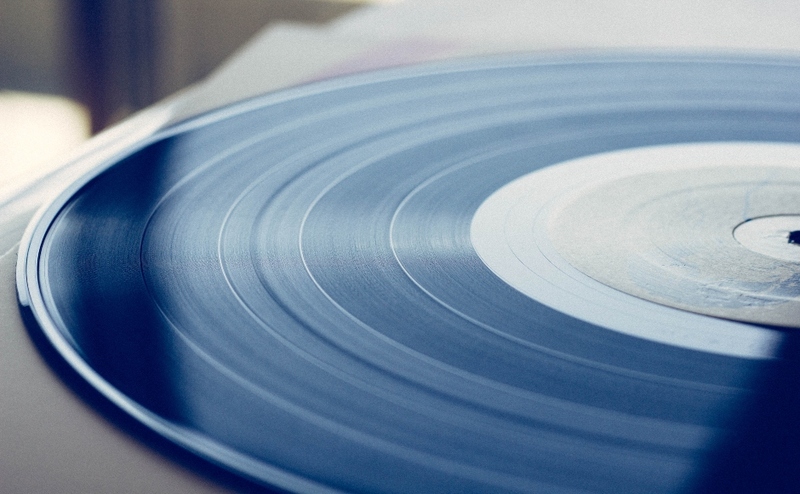 Local bands added to the event by playing live, relaxing music in the background. 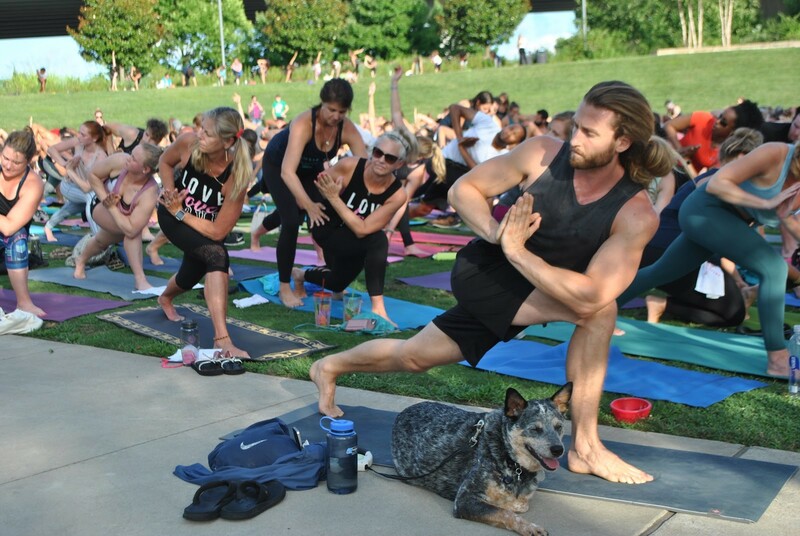 The one-hour yoga practice was led by Small World Yoga teachers Janaye Williams, Annie Diomedes, David Swink and Sara Bradley, as well as Chris Byford as the event’s MC. 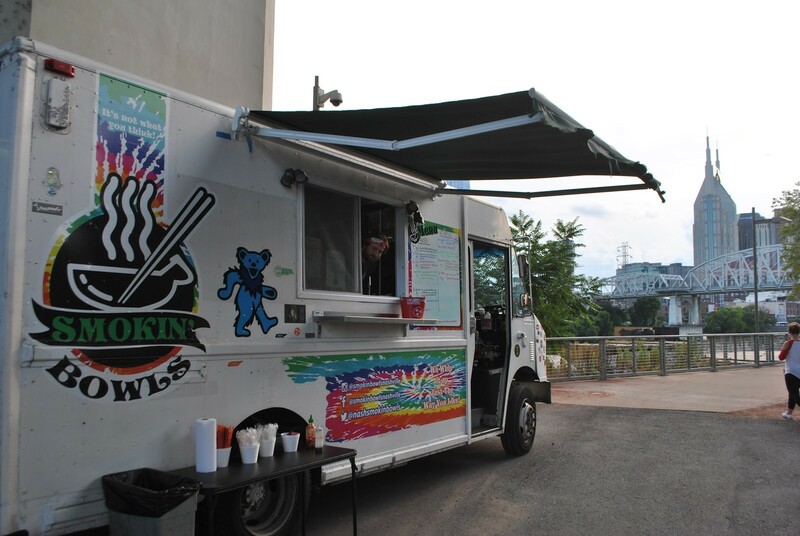 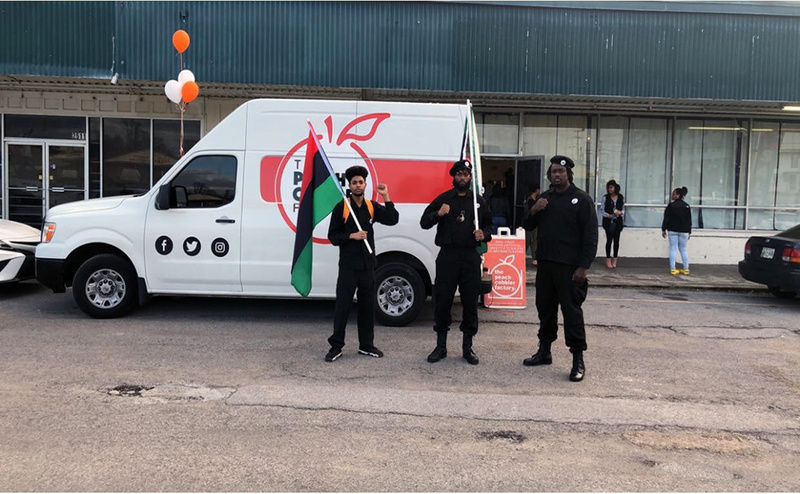 Multiple food trucks and local vendors, such as Young Living Essential Oils and the Nashville Public Library, set up along the park’s sidewalk, making food and local shopping available to participants. 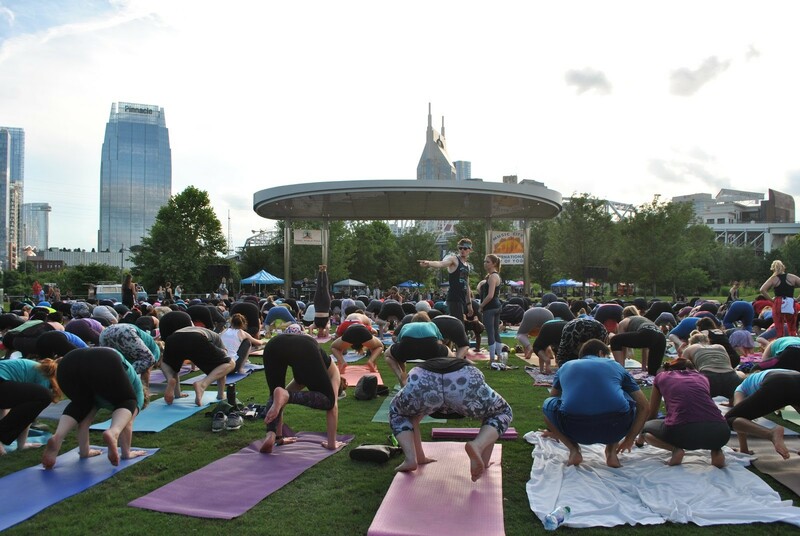 Michelle Walker, a first-time participant in the Music City International Day of Yoga gathering, had nothing but good things to say about the event. 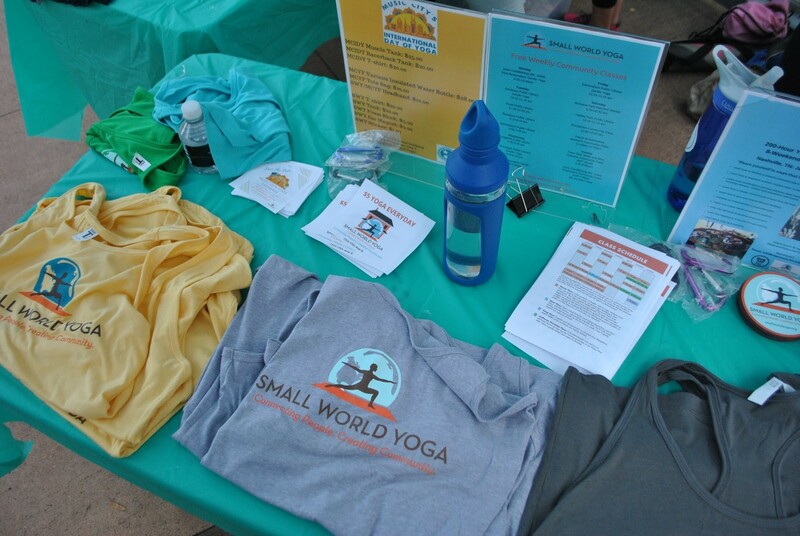 Following the yoga session, attendees participated in a raffle that consisted of various yoga-related prizes such as a free month of yoga at Small World Yoga, Young Living essential oils, fitness gift bags, T-shirts and water bottles. 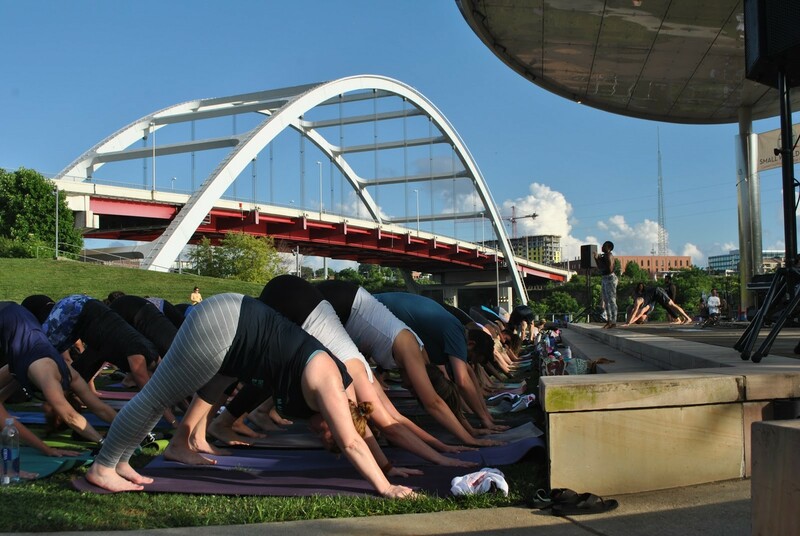 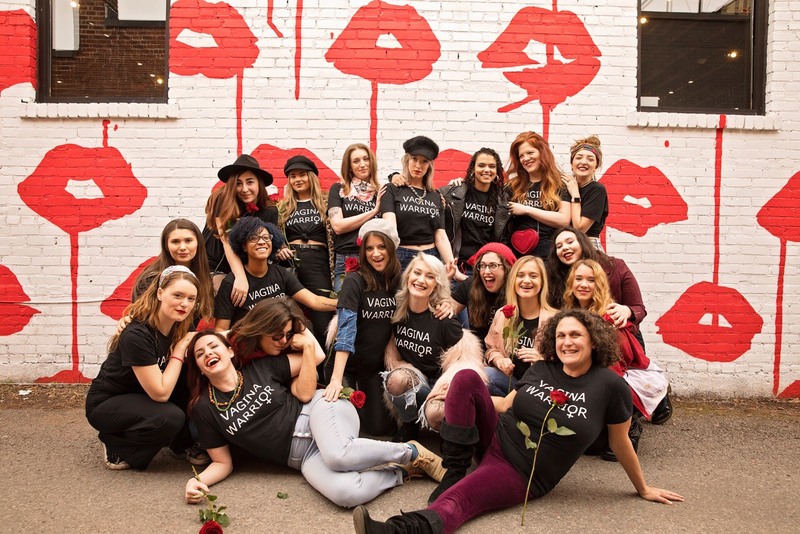 Small World Yoga is currently offering $5 yoga classes at its new studio located on 17th Avenue South. 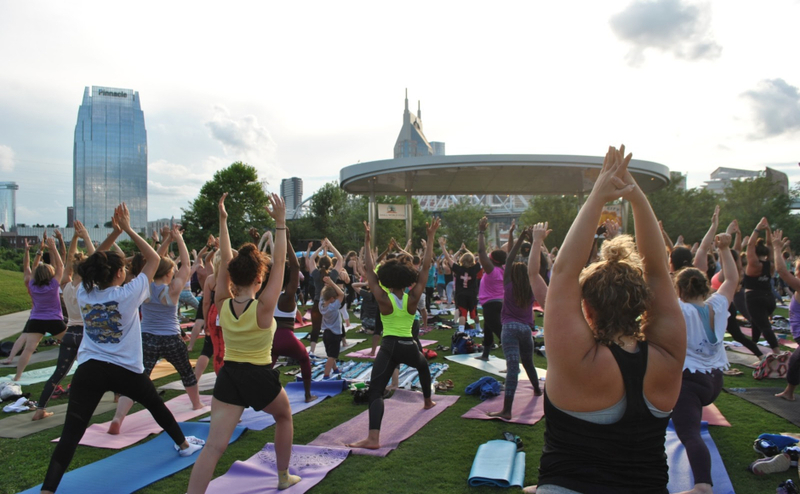 To contact Lifestyles Editor Sydney Wagner, email lifestyles@mtsusidelines.com.